Cedar-Rapids, Iowa-based CRST’s current exemption operates from Sept. 23, 2016, through Sept. 24, 2018. CRST Expedited is requesting the Federal Motor Carrier Safety Administration to revive an exemption which permits the Cedar Rapids Iowa-based trucking company wants student drivers to run the team using a commercial driver’s license holder. The FMCSA Pre-Employment Screening Program (PSP) Website has been updated with the July 27, 2018 snapshot from the Motor Carrier Management Information System (MCMIS). The term "snapshot" refers to data captured from the MCMIS database as it appears on a particular date. You may now check your latest PSP record at: https://www.psp.fmcsa.dot.gov. China announced a list of $60 billion (Dh220.4b) worth of US imports it intends to apply tariffs on should the Trump administration follow through with its latest trade dangers. The Trump administration slapped duties about $34b of Chinese products last month, and which prompted immediate retaliation in China, plus yet another $16b will likely follow in the coming days or weeks.round of all tariffs which took effect a month. Duties ranging from 5 percent to 25 percent will be imposed on 5,207 types of American imports if the US provides its proposed taxes on a different $200b of Chinese products, the Ministry of Finance said in a statement on Friday. Toyota took the next great leap towards the future of zero-emission trucking, unveiling the second iteration of its hydrogen fuel cell electric Class 8 truck before a crowd of media and industry leaders during the Center for Automotive Research (CAR) Management Briefing Seminars in Northern Michigan. 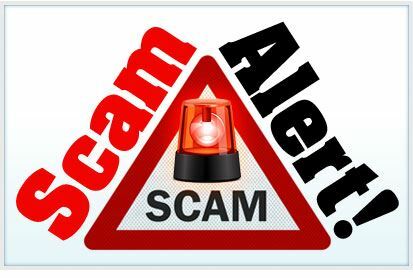 Authorities say anyone who has fallen prey to the scam is encouraged to contact the Consumer Protection Division at 605-773-4400. According to its website, South Dakota Trucks is located in Rapid City, but the Department of Revenue's investigation has concluded there is no such business at the address listed. The provider's website features a list of trailers, trucks and more. The South Dakota Department of Revenue is urging customers to take caution when doing business using a fictitious trucking dealership by the title of South Dakota Trucks. The Department of Revenue's motor car division decided that this stock is already categorized in different states through various automobile dealers. Cummins Inc. will voluntarily recall about 500,000 plus model year 2010-2015 heavy and medium duty trucks, U.S. Environmental Protection Agency (EPA) declared on Tuesday. The recall will soon replace a faulty emissions control systems element which causes excess emissions of nitrogen oxides (NOx), as stated by the EPA. This recall is that the largest voluntary truck emissions remember thus far. The difficulty Cummins is acting to correct is the consequence of a defective part -- perhaps not a defeat device, like the application illegally employed by Volkswagen to pass U.S. emission evaluations. "Here is the way it's supposed to work. Our follow up testing attempts to make sure that pollution controls work through an engine's life. And, if they don't, then companies step up to put things right." Medium- and - heavy-duty categories contain vehicles ranging from bigger pickup trucks to vocational vehicles into large rigs. A previous recall, already underway, concerned about 232,000 Dodge Ram 2500 and 3500 pickup trucks, bringing the whole number of vehicles that are affected to approximately 770,000. Cummins will recall the remaining affected vehicles in two stages. The company is going to contact owners with directions regarding how and when to receive their truck fixed. Owners should contact Cummins for further specifics regarding the products that are affected and recall program. This recall is the largest voluntary truck emissions recall thus far, according to EPA. The trucks being recalled are equipped with selective catalytic reduction (SCR) programs developed to control NOx emissions. The SCR catalysts that'll be substituted via the recall were found to be less durable than is required, degrading in a couple of years instead of controlling NOx contamination for the regulatory total operational life of the truck. The recall will replace these SCR system parts. The whole useful life span of medium-duty automobiles is 185,000 miles or ten years (whichever is first), and also the full useful life of heavy-duty vehicles is 435,000 miles or ten years. The problem was discovered through government supervision programs that test vehicles for compliance with emissions standards throughout their useful life. Initial testing identified high NOx emissions from trucks equipped with Cummins motors. EPA and CARB shared outcomes with Cummins, which consented to conduct the voluntary recall after the organization's own followup testing confirmed that deteriorating elements inside the SCR system were causing emissions to exceed Federal and California pollution criteria. 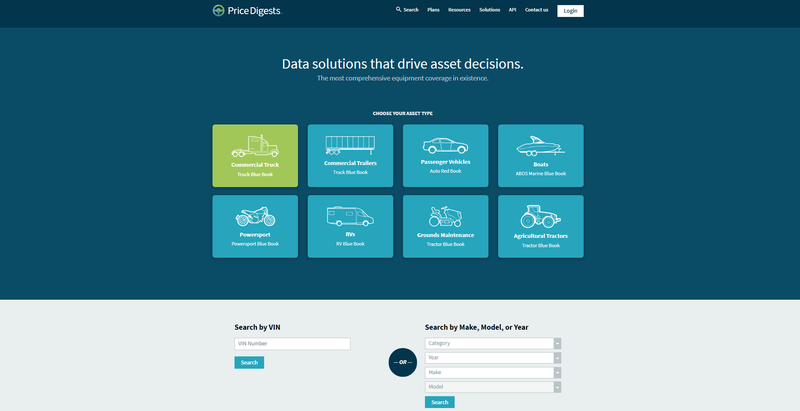 Atlanta, Ga – July 26, 2018 – Price Digests announced that its industry-leading vehicle database is now available through new online software at https://app.pricedigests.com/. The new platform provides insurance and valuation professionals with a single source for rich spec data and accurate market values across eight key asset categories. The platform consolidates and improves the functionality of multiple trusted websites, combining the power of the Truck Blue Book, Commercial Trailer Blue Book, Auto Red Book, Powersport Blue Book, ABOS Marine Blue Book, Recreational Vehicle Blue Book, Grounds Maintenance Blue Book and Official Tractor Blue Book into a single platform. With the best VIN hit-rate in the industry, this new comprehensive software allows users to pull specs and values for every key asset category, including Commercial Truck, Commercial Trailers, Passenger Vehicles, Boats, Powersport, RVs, Grounds Maintenance and Agricultural Tractors. The database is regularly updated by Price Digests analysts, making it the most up-to-date, premium resource of its kind. “Expanded specifications, consistent renewal and the addition of data, as well as the unique ability to meet Commercial Trailer needs truly establishes this software as the top resource for insurance and valuation professionals,” stated Sam Giffin, director of business insights for Price Digests. “Price Digests customers now have all of their specification and market valuation needs solved in one place. We are ecstatic to bring this most comprehensive, cutting-edge platform to market,” added Dan Smith, managing director of Price Digests. Additional next-generation software features of the new software include the ability to save and organize fleet information and create custom-prepared pdfs. All information included in the software platform is also available through API for direct integrations. BLOOMFIELD, CT – Jacobs Vehicle Systems®, the world’s leading manufacturer of diesel and natural gas engine retarding systems and valve actuation mechanisms, has signed a long-term supply agreement with Hino Motors, Ltd. which will last through 2025.